It was welcome news for Pataki, who varies between running to the right and center, encouraging his emerging theme as a “moderate Republican”. With an enormously crowded Republican field filled with more conservative candidates, any conceivable available space for Pataki lies to the left of that conservative and ultra conservative pack. 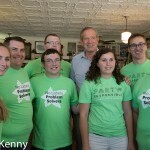 Groups of about ten No Labels canvassers clad in bright lime-green t-shirts appeared at two Pataki campaign events in New Hampshire Wednesday. At a seaside picnic in New Castle their appearance startled the Pataki folks setting up the picnic, with Team Pataki initially concerned they were there to protest against Pataki. The friendly nature of the visit was quickly established, however, and the No Labels group joined the picnic. (They declined to answer a question of whether they are volunteers or paid staff.) 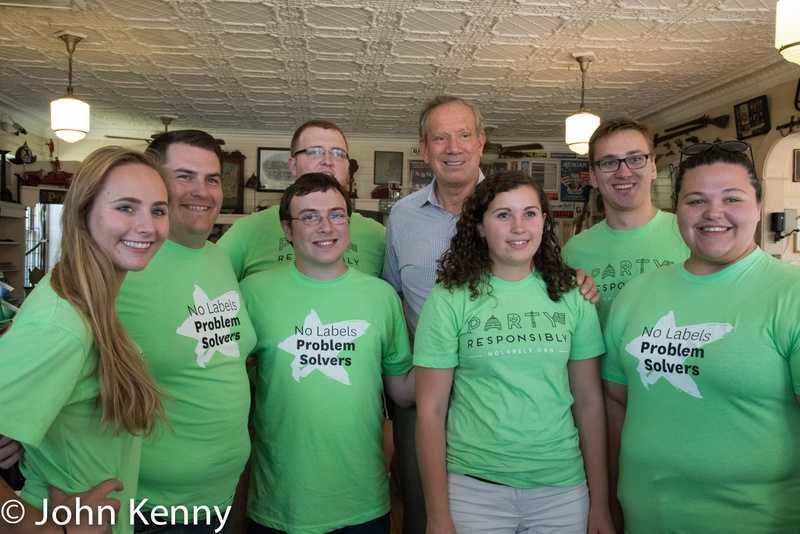 A separate No Labels group attended a Pataki event in Hooksett, and Pataki briefly discussed the group and the Huntsman/Lieberman op-ed.